HomeOff the BeatHow to analyze your website through SWOT Analysis? The SWOT analysis is becoming increasingly common in business today, but do you know it can be used to analyze websites too? Originally used to identify the key factors of a business’s value chain, this tool can now be used to analyze how effective your website is. 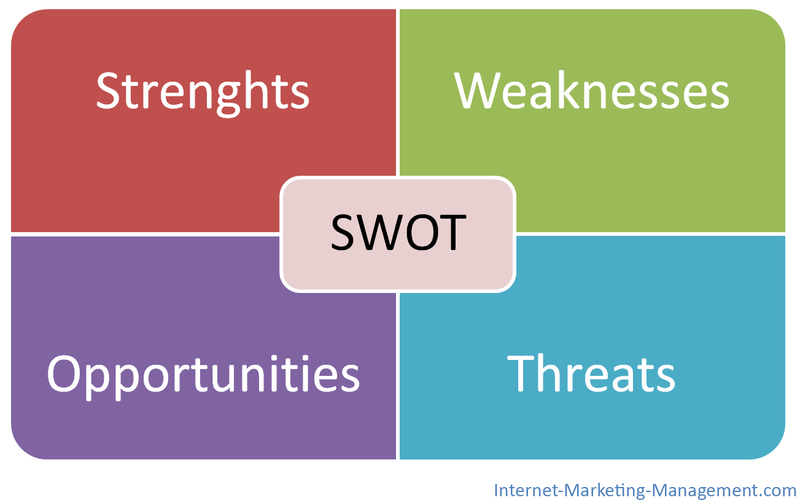 A SWOT analysis is a kind of tool that looks at a single piece of a business’ value chain, or the whole company, to recognize positive and negative attributes in the environment. If we talk about website, this tool can be used to recognize the strengths and weaknesses of a website (i.e. the internal environment) and the opportunities and potential dangers to a website (i.e. the external environment). A SWOT analysis of website will give you an insight of how your website is performing and what external or internal factors are driving this performance. Upon discovering this information, you can devise a fruitful strategy for your website. To begin with, focus on the business objectives of your website. Using the S.M.A.R.T. Objectives model is recommended in this regard (viz. S-Specific, M-Measurable, A-Attainable, R-Relevant and T-Timely). You can then reference these objectives while doing the analysis. After identifying your own goals, try to identify the goals of your competitors’ websites. By doing so, you can then compare your goals with competitors’ goals, provided they have same goals as yours. Basically, the SWOT analysis is broken up into four parts viz. the Strengths, Weaknesses, Opportunities, and Threats. These parts are further divided into two groups, internal and external environments. Each environment group contains a positive category and a negative category. The former contains things that may be beneficial in achieving the objectives while the latter one contains things that may hinder the progress. Internal Environment is within your control. It may be your website or company. External Environment, on the other hand, is not under your control like marketplace. Now let’s explore each part in detail. This list usually contains advantages that are not present in the competitors’ websites. This will give you a competitive edge and will help you achieve your business objectives faster. These strengths are mainly related to the main goals of the website’s development. Weaknesses, on the other hand, are characteristics that are at some disadvantage and can hinder the progress of reaching to your goals. These characteristics can be recognized by making a comparison with a better-performing functionality or characteristic of a competitor’s website with the same feature on your website. In this section, you need to create a threats list. It typically includes anything that is outside of your control and may stop you from reaching the business objectives of your website. These threats can be functionalities that your competitor website has and you do not. Now that you have listed out the characteristics for each of the four parts, you can improve the performance of your website. 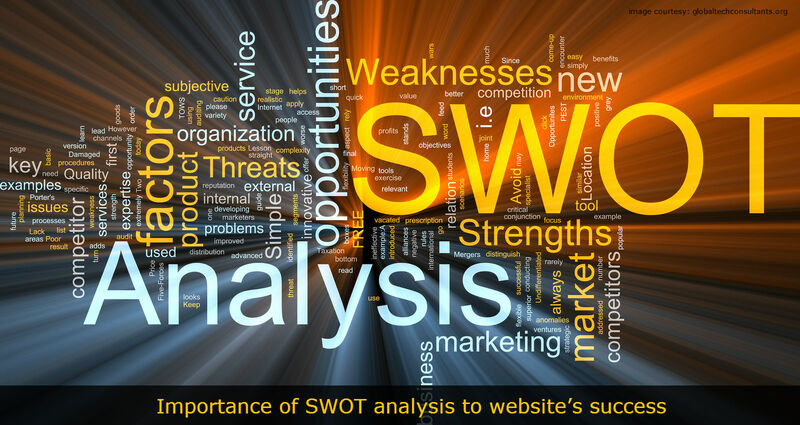 The SWOT analysis has given you an objective view of what factors are affecting your website positively and negatively. Now, you can start working on reducing the effect of the negative factors and enhancing your strengths and opportunities. Your website is now ready to beat the competition! Having done the SWOT analysis, you are now equipped with this informative tool and can use it to make your website simply great. You can work towards meeting those SMART Objectives and blow away your competition.